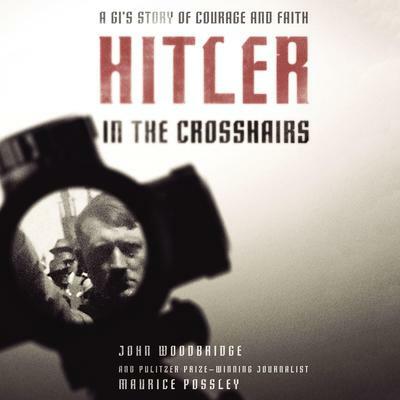 Hitler In the Crosshairs - Audiobook | Listen Instantly! This is the story of Ira “Teen” Palm, a soldier in World War II, from Mount Vernon, NY, through the European Theater of World War II, to his acquisition of a pistol engraved with Hitler’s initials as he stormed Hitler’s Munich apartment in a covert operation. The story of the man and the pistol has never been told—and might just write a new chapter in history. Download and start listening now!
" This book was pretty bad. I wouldn't read it unless you care more about being a christian than you do about history. The title is totally misleading. And the history is not well-researched and accurate. " " Pretty cool that one of my prof's wrote this book and it contains some really interesting history. However, the writing style leaves something to be desired and makes what could be a compelling narrative, a little boring. " " I certainly learned many things I did not know about Hitler's rise and how he just walked all over Europe. It was good to compare what is happening to Teen and what is happening in Hitler's life and in the world at the same time. I had never heard of the golden gun before. "